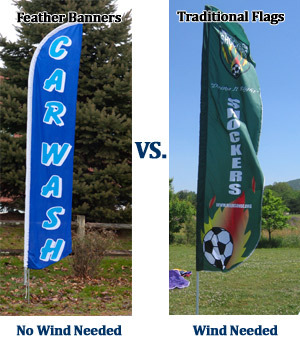 Each Car Wash Flag is Made from Polyester, Making the Material Lightweight. The Sign Display is Large Enough to be Seen from Afar. This Car Wash Flag comes with Lightweight Aluminum Pole. Easy, one person assembly - Watch Video! The car wash flag can be place into any soft surfaces. 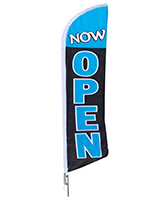 The feather banner is for outdoor use and includes an aluminum pole. The car wash flag that comes with a durable metal ground stake can be positioned anywhere there is grass and other soft ground. The only tool needed to set up the feather banner is a hammer to drive the metal stake into the ground. This car wash flag has a deep blue background with the letters in a nice light blue. The feather banner's canvas is made from lightweight yet affordable polyester. 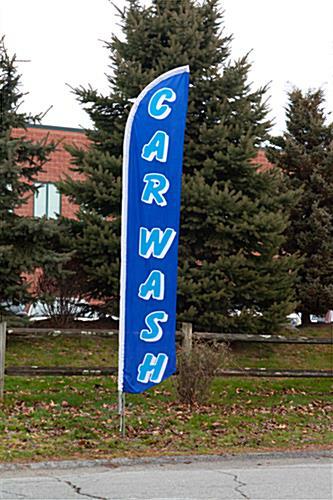 This car wash flag is single-sided dyed with a mirror image visible on the reverse side. In a competitive market, this banner will draw passing cars to your service station! Each car wash flag can be used at auto body shops. 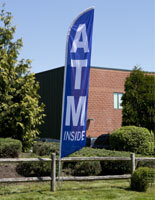 The feather banners sheer height alone is a sure way for customers to take note of your business. Each car wash flag that is simple to assemble requires only one person for setup! The feather banner is light enough for easy portability. 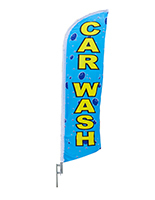 This car wash flag that includes an aluminum pole sells at wholesale prices! 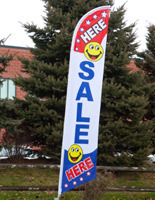 This feather banner is more affordable than comparable models that use fiberglass poles. 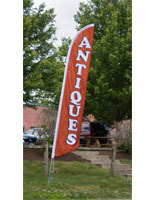 The car wash flag pole is not as heavy duty as fiberglass poles, but it sells at a fraction of the cost. 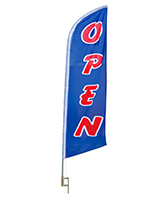 This feather banner sign is ideal for gas stations, auto detailers and more.